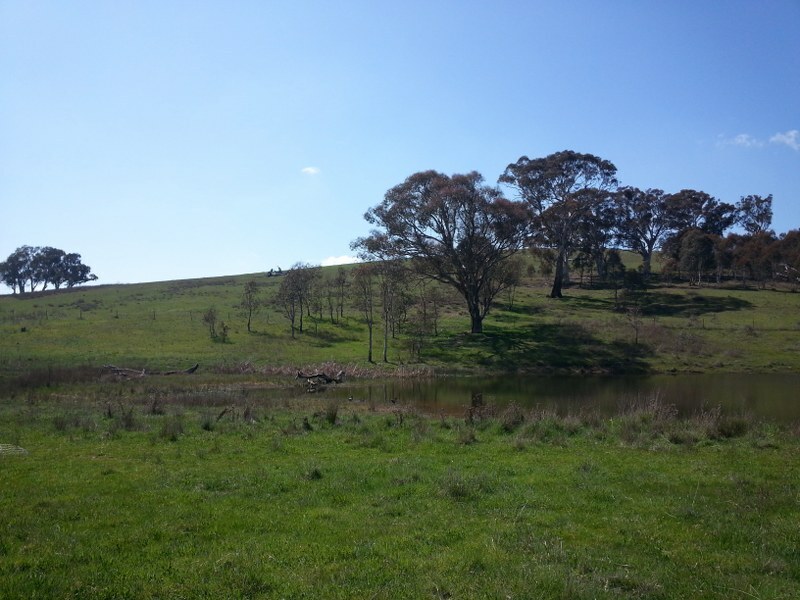 The Gungaderra Grasslands covers a large section of land between Crace, Palmerston and Mitchell. 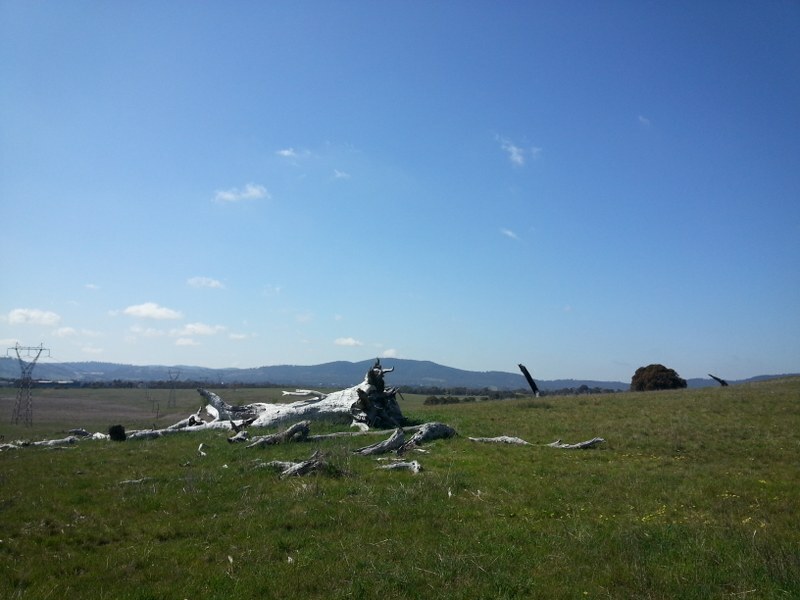 Our walk began at Crace with a look at the Hilltop Reserve, which contains a War Memorial to a member of the Crace family, heavily involved in the Battle of the Coral Sea. 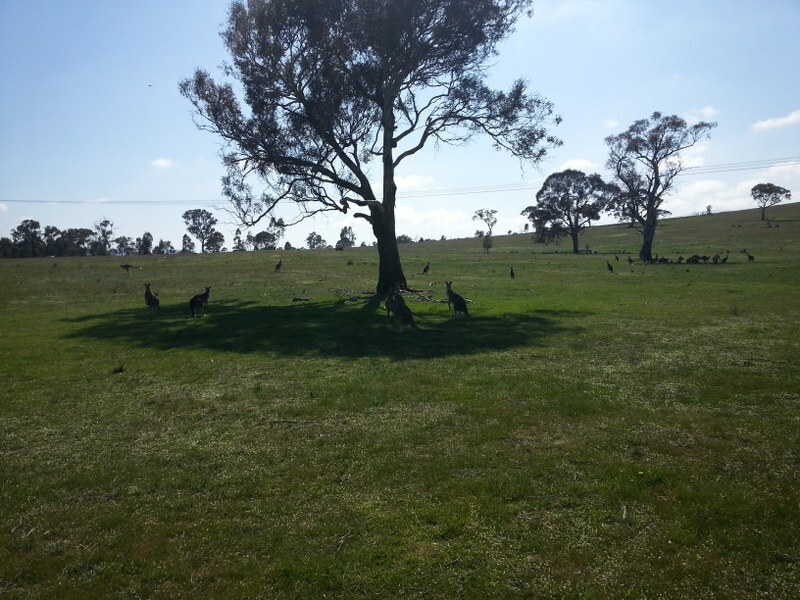 It was only a short meander to the top and we could see some kangaroos hopping in the grassland ahead, so continued our journey over the fence and into the Gungaderra Grassland Nature Reserve. Our movement stirred up the kangaroos into a bit of action, they moved further away from us, and we continued in the opposite direction. 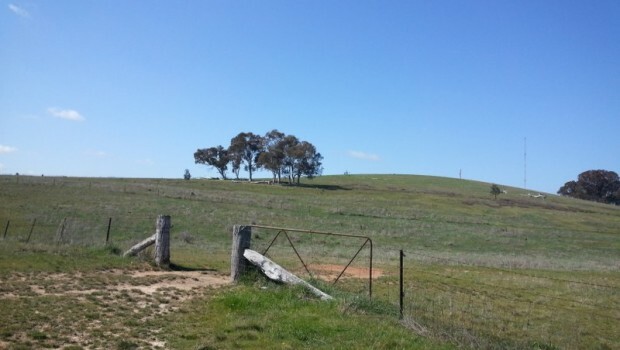 A sign in Crace told passers-by that this land will never be developed, so residents will have a protected view out to Mt Ainslie, Mt Majura and Black Mountain. I’m not so sure that will last forever myself, but I was glad to take a look at a part of Canberra I had never been to. After the kangaroos there was a fenceline that looked a bit tricky to cross, with a couple of hills to climb on the other side. We just wandered along the fence up until we came to a gate, which gave us much easier access. 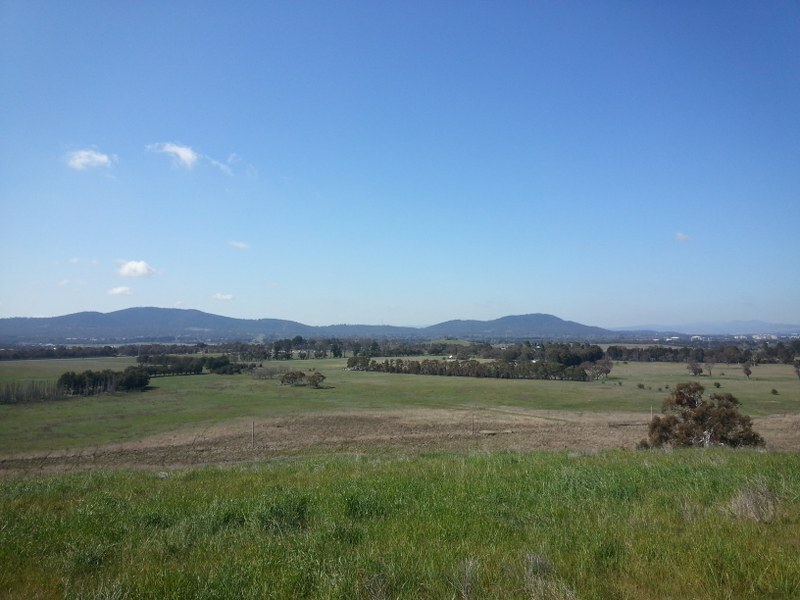 The maps available on the TAMS website were made before the existence of Crace came to be, so I am not absolutely certain to which rise we went over, but I think it is the one next door to what is known as Gungahlin Hill. 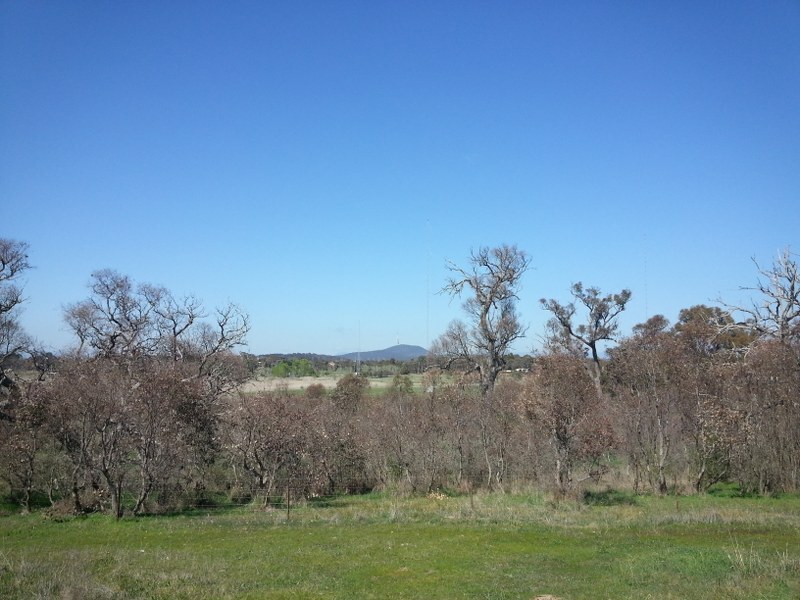 I was hoping we might even be able to see down to the lake, though the elevation is not high enough to see over the buildings of the city centre, though it gives of great views of the surrounds of Canberra. It was around a 5km circuit and finished off with a walk through the streets of Crace before a meal at The District cafe. A little pricey for a suburban cafe, but tasty all the same. There is a bit more information on walking on this area at this site, though the walk was done at the time when Crace was just being thought about.